Cary, NC – According to Melanie Williams, owner of Chocolate Smiles in Downtown Cary, there are four major chocolate holidays. 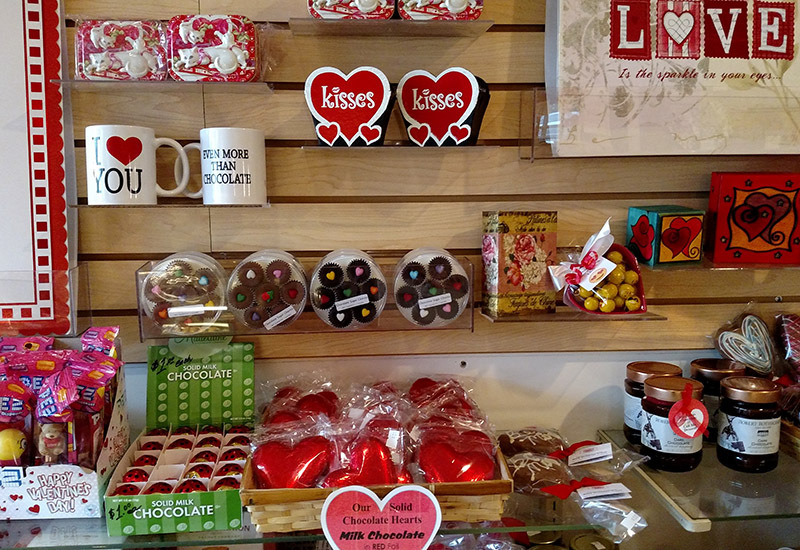 Valentine’s Day is one of those days and with the holiday around the corner, the chocolate store is preparing for another surge in customers. 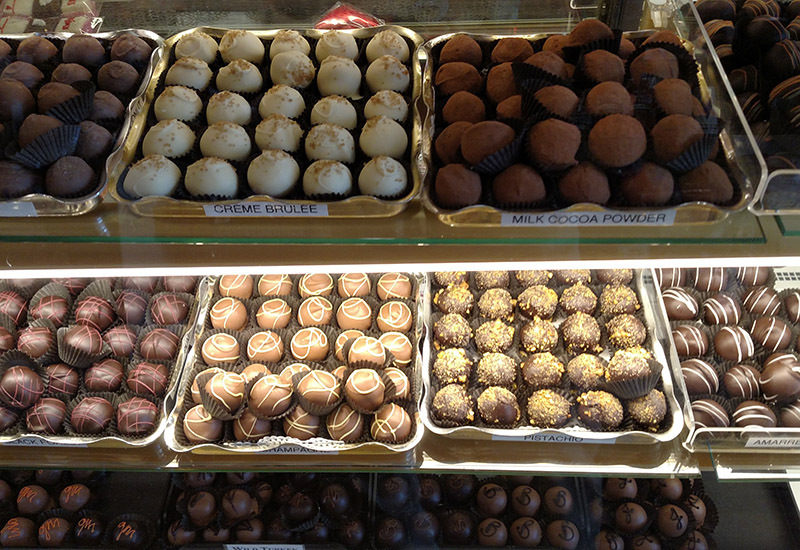 Chocolate Smiles, located on W Chatham Street, has more than a dozen varieties of truffles at the entrance of their store to prepare for the holiday, with 10 new flavors added just for this occasion. The truffles come in a wide variety – nuts or no nuts, several kinds of chocolate, added flavors inside and out. Chocolate Smiles carries boxes for people to fill on their own or they can pick out a pre-made variety pack. “There are lots of different people out there with all kinds of tastes,” Williams said. 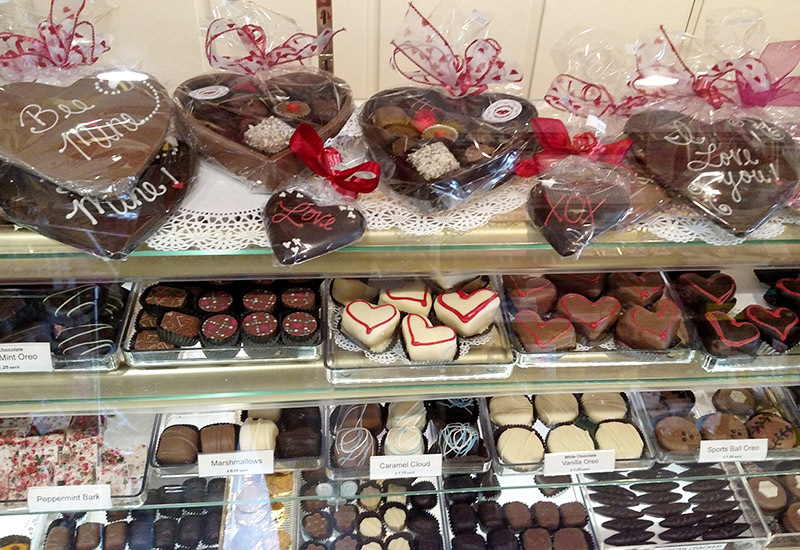 Valentine’s Day is one of Chocolate Smiles’ busiest days of the year and Williams said it is not unusual in the proceeding week to have lines filling up the store or even extending past the door, and these lines only get longer as Valentine’s Day approaches. “I highly encourage coming in early to place orders in advance,” Williams said. In her years selling chocolates and gifts on Valentine’s Day, Williams said she has seen giving candies as a way to show how much people care about a loved one and can lead to new traditions. “We have people come in to fill up the same box for decades,” Williams said. For Williams and her team, coming up with these new chocolate creations for each holiday is a fun, yearly project. “Even in the Summer, we’ll have ideas for Valentine’s Day and start getting excited about it,” Williams said. 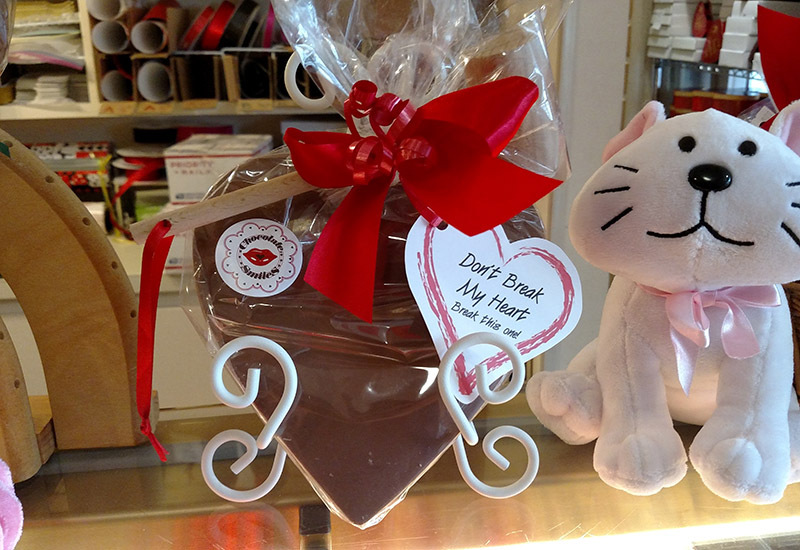 To pair with chocolates, the store also sells stuffed animals and heart-shaped plates. There are also heart-shaped boxes made from chocolate so they are edible. Then there are other candies that don’t just have to be for Valentine’s Day, such as coated pretzels, marshmallows and solid chocolates filled with nuts, creams and jellies. 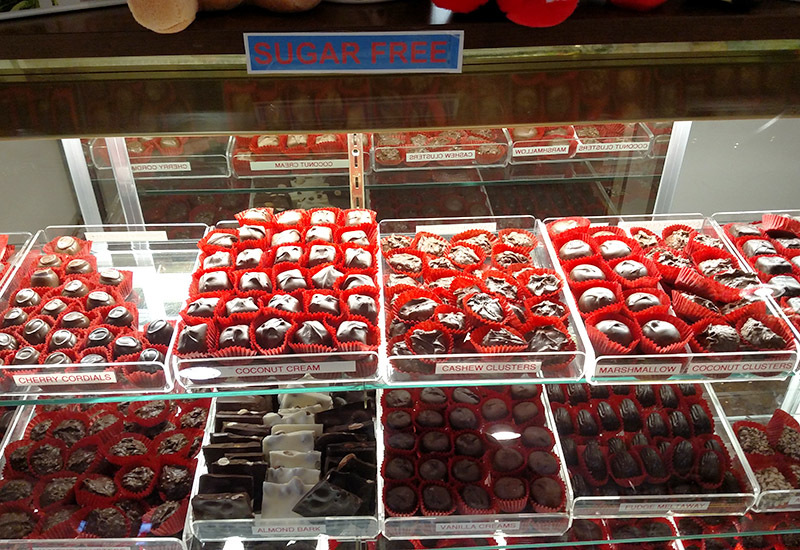 In addition to fudge, milk chocolate, dark chocolate, white chocolate and more, Chocolate Smiles also carries a variety of sugar-free chocolates. “There is a big call for sugar-free chocolate but not many places have it,” Williams said. Valentine’s Day is not Chocolate Smiles’ only big holiday and Williams said for Easter, they can get calls as far away as Wilmington asking about chocolate Easter Eggs. Chocolate Smiles is located at 312 W Chatham St. in Suite 101.